Debt is enough of a problem to cause anyone a headache. We end up in debt because we have access to money that doesn’t belong to us, we spend it, and we can’t repay it. Debt, or a line of credit we end up using, is as common to every US household, UK household, European household or South African household as food and water. It is a necessary evil that needs to be effectively managed. Fortunately, debt is not the worst four letter word you will have to encounter in your life. A careful plan can mitigate the impact of debt on your daily finances, making it much easier for you to stay on top of your obligations. What Are Some of the Problems Associated with Debt? There are financial issues, emotional issues, and genuine issues to contend with whenever debt crops up. It’s important to differentiate between several types of debt from the get-go. For example, unsecured debt versus secured debt. If your debt is in the form of credit cards, personal loans, perhaps even payday loans, you needn’t be concerned about your assets being seized to pay off the debt. The worst that can happen – and it is bad – is that your credit score will take a hit and your access to credit will dry up. You could have judgments against you which will remain on your credit report until creditors remove them. In the US, a credit score is just as important as a Social Security number. It determines who gets approved for home loans, automobile loans, personal loans etc. A healthy credit score is indicative of a well-managed life. Now that we have identified some of the problems associated with high levels of debt, it’s important to deal with the debt. If the bad debt (credit card debt or personal loans) is becoming a problem, you may wish to consider things like debt consolidation loans, balance transfers to low-interest credit cards and the like. A debt consolidation loan is particularly interesting in that the customer applies for a lower interest-rate loan than the credit card, and pays off all the debt in one fell swoop. The interest rate associated with debt consolidation loans is lower than the rates charged by credit card companies. It makes perfect sense to pick out a lower-interest-rate loan to repay your debt. A word of caution is in order: the best rates are available to those people with the best credit scores. You’ll always want to check out your credit score (it’s free on Experian, Equifax or TransUnion once a year), or from your credit card provider. 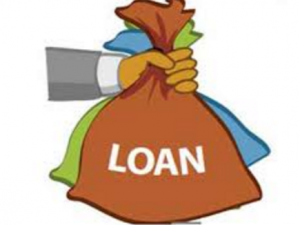 Why Are Personal Loans Preferred by People Seeking Debt Consolidation? We have already established that credit cards are the worst options to use when seeking to consolidate debt. You may be able to switch from a 25% – 30% APR (annual percentage rate) credit card to a 15% – 20% APR card when consolidating your credit card debt. But if you can get a personal loan at 5% – 10%, you’re already saving money. Of course, personal loans require credit scores of 540+, and the closer you get to a good or excellent credit score rating, the better your rates will be. It’s important to understand that careful money management is essential when you’re involved in debt consolidation. There’s no point consolidating debt if you’re going to end up in debt soon thereafter. Set a budget, stick to it, and see debt consolidation as a solution to a problem that has been plaguing you. PS: Never move unsecured debts to secure debt if you have financial problems. For example, you don’t want to take out a home mortgage loan to pay for your credit card debt if you cannot afford to pay back your home mortgage loan. Savvy?